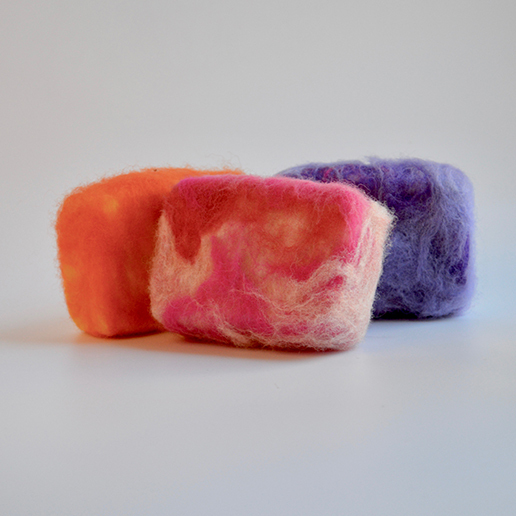 These gorgeous hand-felted soaps are your soap and washcloth combined! These moisturizing, handmade soaps are wrapped in softly spun wool to create an exfoliating, lovely, long lasting bar of heaven. Wool’s naturally complex fibers make it an anti-fungal, anti-microbial, and anti-bacterial material. Enjoy!